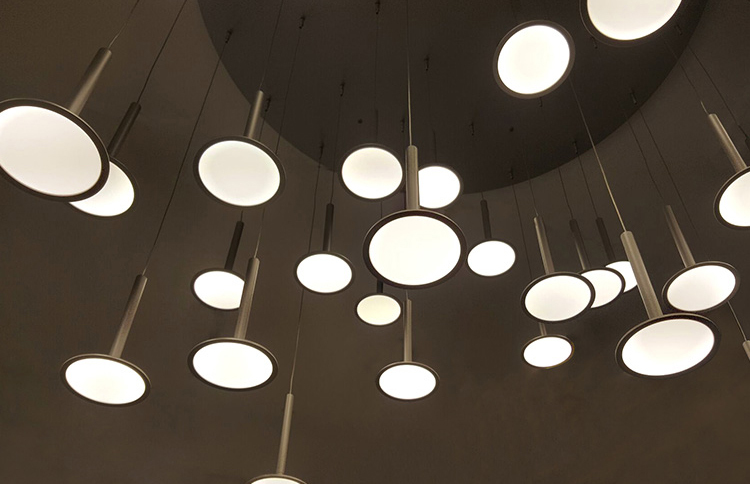 Abstract: OLED lighting offers truly unique forms and design flexibility which are highly appealing for lighting designers, manufacturers and consumers. The unique features of OLED lighting are redefining the possibilities of lighting design. 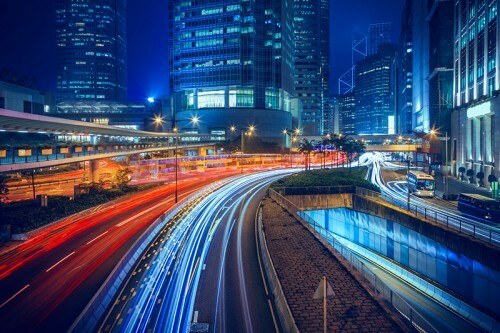 The future belongs to solid state lighting, which uses organic or inorganic semiconductor electroluminescence to produce visible light for illumination. Whereas the lighting technology based on light emitting diodes (LEDs), a type of inorganic semiconductor device, is now a brilliant reality. The organic optoelectronic technology based on organic light emitting diodes (OLEDs) seems to be on the horizon, but is gaining insufficient momentum for a revolutionary industrialization and commercialization. The massive development in the consumer electronics industry is creating a whole new ecosystem of electronic devices that use OLED technology. While we're witnessing the substantial market penetration and tremendous growth of OLED applications in smart phones, smart watches, televisions, and other display-centric devices. Solid state lighting products based on OLEDs do not appear to be promising in the immediate future. Will OLED lighting have a competitive edge and offer differentiation to capture a significant share in the lighting market? An OLED is an organic optoelectronic device that utilizes carbonate-based small molecules (SM-OLED) or conjugated polymer chains (PLED) to form an emissive electroluminescent layer which generates photons in response to an electric current. The organic electroluminescent layer or emission layer (EML) is disposed between the anode (positive electrode) and the cathode (negative electrode). The anode is made of an extremely thin, transparent and electro conductive material called indium tin oxide (ITO) or indium zinc oxide (IZO) for transmission of light generated or emitted by the EML element. The cathode may comprise a thin layer of highly reflective or transparent metal compound which can be an oxide or fluoride of an alkali or alkali earth metal such as lithium fluoride, barium fluoride, and barium oxide. The physical operation of an OLED is established on injection, transport and recombination of two types of charge carriers: holes and electrons. A plurality of electrical functional layers are disposed between the pair of electrodes to facilitate efficient injection of carriers. Holes injected through the anode move to the EML via the hole transport layer (HTL). Electrons injected through the cathode move to the EML via the electron transport layer (ETL). Holes in the highest occupied molecular orbital (HOMO) and electrons in the lowest unoccupied molecular orbital (LUMO) are bound by the Coulomb force in excited states in the EML to form an exciton. During this radiative recombination process the exciton radiatively decays from an excited state to a ground state to release energy through the emission of a photon, which is the light we see and measure from an OLED. A good OLED architecture has a multilayer stacking structure designed to minimize the energetic barriers between HOMO/LUMO levels while maintaining equal charge balance in the emission layer. The multilayer stack design also helps obtain high quantum and current efficiencies with the multiphoton emission effect and achieve higher brightness due to the reduced current density and increase the amount of light that is being generated in the emission layer. 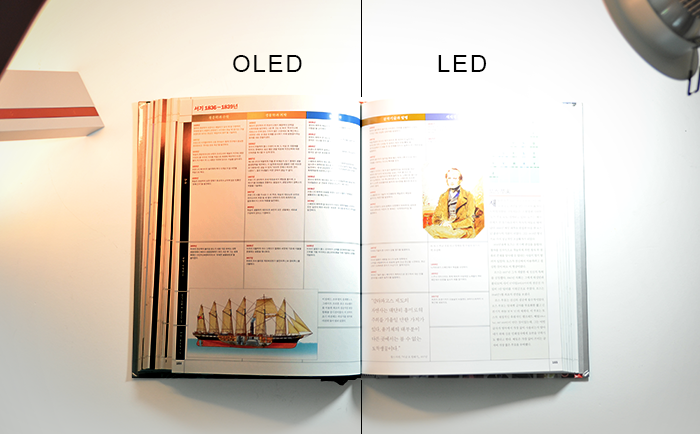 Although OLED lighting and OLED display have the same light emission mechanism. They have distinctive features, unique structures and different performance requirements. An OLED display is a pixelated device that uses different color pixel sets, each of which emits a primary color of red (R), green (g), and blue. The pixels are arranged in a matrix form and each includes a driving transistor for applying different combinations of currents to drive the pixel for displaying a full color image. Unlike OLED displays, an OLED lighting panel does not use segmented pixels to emit light, instead it's a one-piece emissive surface that produce white light evenly over the complete surface. The entire panel is powered by a single driving circuit. Another major difference is that OLED lighting panels require a higher emission intensity for general purpose illumination. While an OLED display is designed to produce a softer luminance for direct view. OLEDs are surface emission light sources, whereas LEDs are intrinsically intensive point light sources. The light emitted by LEDs appears as an array of very bright and harsh spots if no diffuser dome or other optics are used to smooth the highly directional intensity illumination. OLED lighting works by electrically exciting extremely thin layers of organic semiconductor material to generate a soft, natural and glare-free surface light. This distinctive contrast opens up different concepts of lighting fixture design. Accordingly OLED luminaires differ significantly from LED luminaires in form factors and applications. By using a range of primary and secondary optics, LED light sources are incorporated in wide range of lighting fixtures which're not limited to spotlighting fixtures for which point light sources are perfect fit, but also include linear and surface light fixtures. OLEDs can be deposited on a variety of flexible and rigid substrates including glasses, plastics, metals, clothes, and ceramics. This flexibility allows the creation of OLED light fixtures with wide beam angles in an assortment of form factors. Even after long time operation, OLED lights generates very little heat (the temperature of the organic layers is generally less than 40°C). In contrast, LEDs suffer from intense heat generation and require an effective heat dissipation pathway to control LED junction temperature. Thermal management systems, such as large heat sinks, are thermally coupled to luminaires to prevent overheating and premature failure of the LEDs. But this can add cost and complexity to the light assembly. OLED lights do not require any additional heat sink although a heat pad is preferably mounted to improve the heat dissipation. However, the lifetime of OLEDs is proportionally associated with the variation of organic temperature. For example a 10°C increase in temperature results in a reduction in the lifetime of OLEDs by as much as 30 percent. LEDs can be driven and dimmed by a wide range of topologies and circuits. OLEDs have to be operated with constant current drivers due to their unique electrical properties. The constant voltage power supply architecture driving may lead to variations in luminous intensity and can potentially damage the OLED lighting modules or greatly reduce product lifetime. The dimming control of OLEDs is preferably made through constant current reduction (CCR) drivers by adjusting the driving current or amplitude modulation to minimize the potential for flicker. LEDs can be wired both in series and parallel. Whereas OLEDs are not suitable for parallel interconnections when operated with constant current drivers as this type of wiring may lead to asymmetrical current distribution to the OLEDs and cause the damage of individual OLEDs. In addition short circuit protection is difficult to be implemented in parallel wiring designs. The organic functional layers and the electrode materials used in OLEDs are very sensitive to moisture and oxygen, therefore OLED lights are primarily an indoor lighting product despite the encapsulating treatment to prevent degradation caused by moisture or other particles. LED lighting has an extensive deployment and finds applications in both interior and outdoor illumination. At the time of writing LEDs have substantial competitiveness over OLEDs in terms of luminous efficacy and manufacturing cost. Although OLED will be likely to follow the footprint of LED in these respects, the timeline of these improvements remains an uncertainty and should be much longer than the dramatic evolution of LED lighting technology and the cost reduction period of LED lighting products. When it comes to the benefits of organic lighting OLED technology inspires on an exceptional level in the unique quality of the light itself. OLEDs have unique optical properties which differentiate them from their rival light sources. OLED lights feature superior color temperatures and excellent color characteristics including color rendering index (CRI), fidelity index (Rf), and gamut index (Rg). OLEDs produce a warm, pleasant, holohedral and homogeneous light which with the visual spectrum tailored to emulate the characteristics of natural light. The exceptional color reproduction without visual discomfort or significant glare allows the human eyes to perceive bright and vivid colors, making it possible for delicate items to be distinguished despite the presence of subtle color shade differences. Virtually no photons are generated in the ultraviolet (UV) or infrared (IR) regions of the spectrum in organic electroluminescence, eliminating the health risks associated with other artificial light sources. The accurate color rendition (CRI 90 minimum) and healthy light spectrum makes OLEDs attractive for lighting applications which require premium quality illumination. 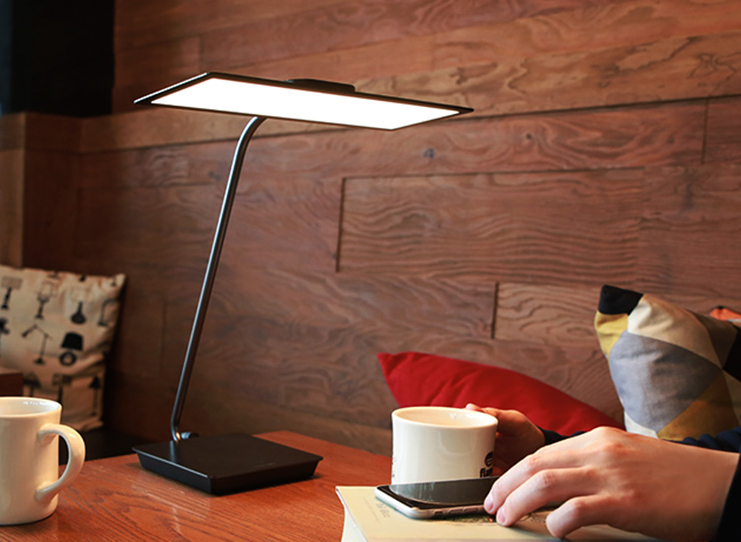 OLEDs are highly recommended for use in task lighting luminaires such as table lamps and reading lights. OLED lights offer truly unique forms and design flexibility which are highly appealing for lighting designers, manufacturers and consumers. OLEDs are self-luminous and therefore can be fabricated on a single sheet of glass or plastic. OLEDs emit a small amount of heat across its entire emissive surface so there is no need for a thermal management structure that accounts for a large space such as in an edge-lit LED panel light in which an aluminum frame serves as heat dissipation pathway. The light source can be used to uniformly distribute the light without additional light distribution systems, such as reflectors, diffusers, or similar optics which further increase the volume of the light assembly. These structural properties allow for maximum space savings and contribute to an incredibly thin profile. The inherent properties of organic electroluminescent materials, most notably their flexibility, may make them highly applicable for particular applications such as fabrication on a flexible substrate capable of being bent, curved, or arbitrarily shaped. 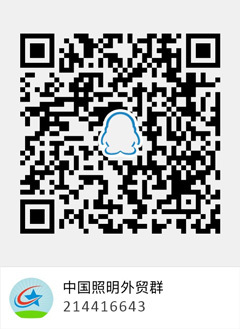 Moreover, the organic electroluminescent layer can be sandwiched between two transparent electrodes, enabling the light source to be transparent in the off state. These unique features of OLED lighting are redefining the possibilities of lighting design. OLED technology virtually eliminated the distinction and division between light sources and luminaires with its soft, glare-free self-luminous illumination without requiring assistive optic systems and bulky thermal conductive components. A multitude of revolutionary lighting products can be created by fabricating embedded light-emitting surfaces onto architectural materials, such as metals, ceramics, clothes, glass, and other conformable substrates. With enhanced flexibility, ultra-thin profile and lightweight, OLED technology facilitates an archetype shift in lighting and enable the true integration of lighting and architecture. The application of OLEDs go way beyond the classic lighting applications such as standalone task lighting, ceiling lighting, and accent lighting. OLEDs offer a new way of illuminating and personalizing surroundings with light by serving as architectural elements such as furniture, walls, windows, mirrors, surfaces or parts of interiors. The commercialized deployment of organic lighting technology applications require that OLEDs compete with alternative conventional lighting technologies in efficiencies. High luminous efficacy is required to expand into the energy efficiency driven lighting market which has been rapidly penetrated by LED lighting technology. At this time the luminous efficacy of commercially available OLED lighting panels is well below LED system efficacy at the luminaire level, ranging between 40 and 100 lumens per watt (lm/W). This translates into a relatively low emission intensity range characterized by its luminance which defines the subjective brightness of an object in photometry and is measured candelas per square meter (cd/m²). To illuminate a 15m² room with radiometric intensity of 6000 lumens by a 60x60cm OLED light panel, for example, the OLED efficacy needs to be higher than 1501m/W to achieve a luminance of 5,000 cd/m² for general illumination. Although laboratory test of high efficacy white OLEDs up to 140 lm/W has been reported, the commercially manufacturable OLEDs with comparable efficiency are still in the early stage of infancy. OLED efficiency primarily depends on the luminescent materials, the substrate and device structure to optimize the charge carrier mobility and exciton recombination. To achieve a market-level performance the efficiency of electron to photon conversion should reach a minimum of 90% and the light extraction efficiency is required to be more than 70%. The optical performance of OLED devices is primarily limited by poor light extraction which negatively affect the external quantum efficiency (EQE). Low light extraction efficiency and EQE may lead to low optical efficiency, high power consumption, and elevated organic temperature which directly results in a short lifetime of the OLED lights. The external quantum efficiency relates the number of outcoupled photons to the number of injected electron-hole pairs. In general, OLEDs with a microcavity structure that utilizes the reflecting properties of the microcavity are about three to four times efficient than OLEDs without a microcavity structure in term of light outcoupling.The internal quantum efficiency (IQE) relates the energy conversion efficiency in the process of radiative transition such as lattice vibration and deep-level impurity transition. EQE is equal to IQE minus the losses through reflection occur at the interfaces due to the differences between the refractive indexes of the materials which constitute the layers defining the interfaces. Phosphorescent emissive materials exhibit a good internal quantum efficiency, but the lifetime of the blue phosphorescent component limits their operation stability. Fluorescent emissive materials have a poor external quantum efficiency despite their good operational stability. Therefore, it's critical to develop emissive materials that exhibit the merits of both phosphorescent and fluorescent materials. 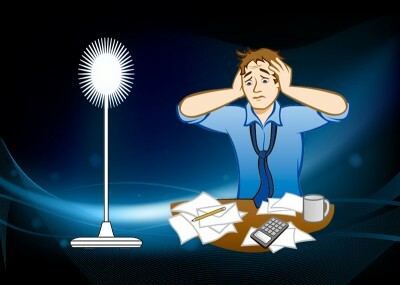 The economics of lighting depends on the payback time that calculated on several variables, including 1) luminous efficacy, the amount of light produced per unit of electrical power (lm/W); 2) purchase cost efficacy, the amount of light produced per dollar (lm/$); and 3) operational lifetime. Despite the progress in narrowing the performance gap (efficiencies and lifetime) with inorganic LED lighting, the upfront purchase cost of OLED lighting remains a large hurdle to be overcome before the OLED lighting systems can directly compete with their inorganic counterparts. The high manufacturing costs for OLED lighting modules needs to be significantly reduced for the technology to offer a reasonable cost-of-ownership for end-users. The biggest reason of high manufacturing costs for OLED lighting modules is the complexity of the device structures that necessitates a time-consuming process which involve high precision fabrications, limited suppliers of chemical materials for the OLED layers, expensive equipment for thin-film deposition and encapsulation. The current manufacturing capacity is aggregated on OLED displays which have a high market value and good ROI. The widespread deployment of OLEDs as affordable lighting sources faces fierce competitions from both OLED displays and LED lighting. Does OLED Lighting Have a Future? Yes, but in a limited number of market niches. OLEDs offer better white light quality and more flexible form factors than LEDs but the latter have an overwhelming competitiveness in industrial, commercial and residential lighting markets. In particular, the advantage of LEDs in high power lighting applications is unbeatable. However, the distinct attributes of OLEDs make them extremely well suited for entry into high end lighting markets in which the quality of light is a priority. 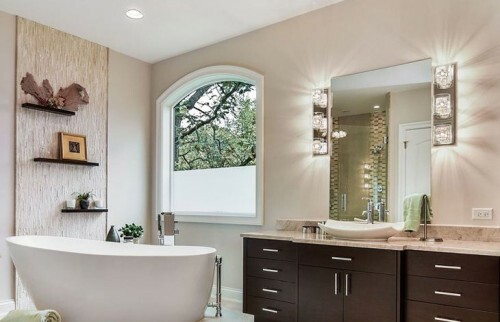 These niche lighting applications include task lighting for reading intensive environment, designer lighting, automotive lighting, aerospace lighting, and other innovative applications. 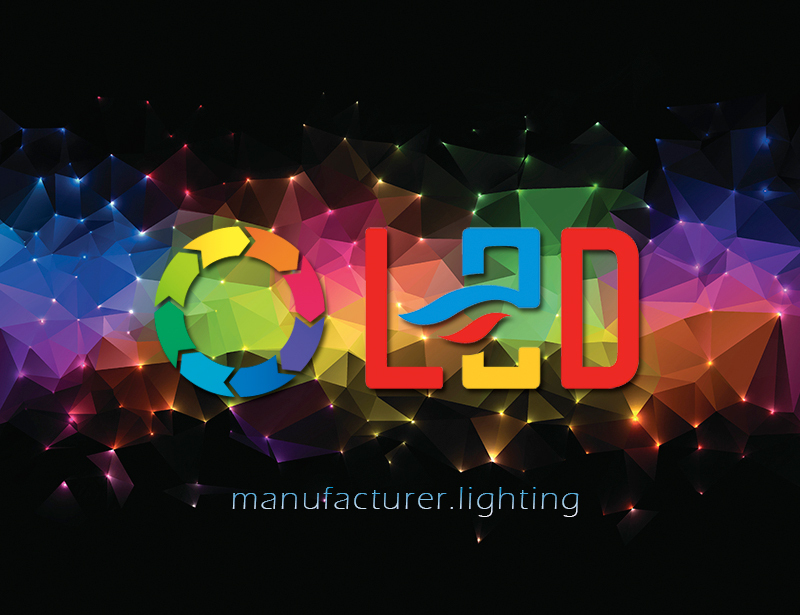 Primary customers of OLED lighting include light-quality sensitive consumers, luxury real estate developers, major corporations, education facilities, government, and healthcare institutions. The key to identifying market opportunities for OLED lighting is therefore to establish paths for differentiation.